The significance of the disclosure is obvious; today, more than 99 percent of the world’s internet and telephone traffic is now carried by undersea fiber optic cables. An interactive submarine cable map published by the Global Bandwidth Research Service is illustrative in this regard. A year later, AT&T whistleblower Mark Klein told Wired Magazinethat NSA was tapping directly into the world’s internet backbone, and was doing so from domestic listening posts the telecommunications’ giant jointly built with the agency at corporate switching stations. Whatever submarine operations NSA still carry out with the US Navy and “Five Eyes” surveillance partners (Australia, Britain, Canada, New Zealand and the US), access to information flowing through undersea cables mean that the US government is well-positioned to scoop-up virtually all global communications. Since former NSA contractor Edward Snowden began spilling the beans last month, it should be clear that the American government’s capabilities in amassing unprecedented volumes of information from cable traffic, also potentially hands the US and their corporate collaborators a treasure trove of sensitive economic secrets from competitors. Inked just weeks after the 9/11 provocation, the 23-page Telstradocument specifies that access to undersea cable traffic by the FBI and “any US governmental authorities entitled to effect Electronic Surveillance,” is an explicit condition for doing business in the United States. It has long been known that the Australian secret state agency, the Defence Security Directorate (DSD), is a key participant in US global surveillance projects. Classified NSA maps provided by Snowden and subsequently published by Brazil’s O Globonewspaper, revealed the locations of dozens of US and allied signals intelligence sites worldwide. DSD currently operates four military installations involved in a top secret NSA program called X-Keyscore. According to The Sydney Morning Herald, along with the “US Australian Joint Defence Facility at Pine Gap near Alice Springs,” three other DSD facilities, “the Shoal Bay Receiving Station near Darwin, the Australian Defence Satellite Communications Facility at Geraldton and the naval communications station HMAS Harman outside Canberra,” were identified as X-Keyscore “contributors.” The paper also reported that “a new state-of-the-art data storage facility at HMAS Harman to support the Australian signals directorate and other Australian intelligence agencies” is currently under construction. It’s a two-way street, Bloomberg noted. Firms providing “US intelligence organizations with additional data, such as equipment specifications” use it “to help infiltrate computers of its adversaries.” In return, “companies are given quick warnings about threats that could affect their bottom line.” Such sensitive data can also be used to undermine the position of their foreign competitors. We now know, based on documents provided by Snowden, that the “infiltration” of computer networks by US secret state agencies are useful not only for filching military secrets and mass spying but also for economic and industrial espionage. That point was driven home more than a decade ago in a paperprepared by journalist Duncan Campbell for the European Parliament. At the time the Telstra pact was signed, the Australian telecommunications and internet giant was “50.1% owned” by the Australian government. Reach Global Services, is described in the document as “a joint venture indirectly owned 50% by Telstra” and “50% owned” by Hong Kong’s Pacific Century CyberWorks Limited (PCCW). With controlling interest in more than 40 undersea fiber optic cables, and with landing rights in global markets that include Hong Kong, Japan, Korea, Taiwan, Singapore, Australia, North America and Europe, the joint venture was then the largest commercial telecommunications carrier in Asia with some 82,000 kilometers of undersea cables. Reach also operates international satellite systems that cover two-third’s of the planet’s surface. Such assets would be prime targets of “Five Eyes” spy agencies under terms of the UKUSA Communications Intelligence Agreement. Telstra and PCCW restructured their partnership in 2011, with the Australian firm now controlling the lion’s share of an undersea cable network that stretches “more than 364,000 kilometres and connects more than 240 markets worldwide,” theSouth Morning China Post reported. Inevitably, the restructuring will afford the US government an even greater opportunity for spying. Available documents based on Snowden disclosures and other sources seem to suggest that President Obama’s militaristic “pivot to Asia” is also an aggressive campaign to steal commercial and trade secrets from US imperialism’s Asian rivals. Whether or not these revelations will effect negotiations over the proposed Trans-Pacific Partnership (TPP), a NAFTA-style “free trade” agreement between the US and ten Pacific Rim nations, including Chile, Japan, Malaysia, Mexico, Peru and Singapore–all prime US-UK targets of PRISM, TEMPORA and X-Keyscore–remains to be seen. If we have learned anything since Snowden’s revelations began surfacing last month, it is that the US secret state relies on a body of “secret laws” overseen by a Star Chamber-like FISA court described in the polite language The New York Times as a “parallel Supreme Court,” to do its dirty work. Proclaiming that “US communications systems are essential to the ability of the US government to fulfill its responsibilities to the public to preserve the national security of the United States, to enforce the laws, and to maintain the safety of the public,” the Telstra summary posted by Crikey should dispel any illusions on that score. In other words, an “internal corporate cell of American citizens,” charged with providing confidential customer data to the secret state, as The Washington Post first reported. For example, the 31-page 2011 Agreement between the US government and Level 3 Communications, which operates in North America, Europe, Latin America and the Asia-Pacific, which acquired Global Crossing from from the Hong Kong-based Hutchison Whampoa and Singapore Technologies Telemedia (the focus of The Washington Post’s July 6 report), was expanded beyond the FBI and Department of Justice to include the Department of Homeland Security and the Department of Defense, NSA’s “parent” agency. NSA, the principle US spy agency charged with obtaining, storing and analyzing COMINT/SIGINT “products, i.e., user data, has been handed virtually unlimited access to information flowing through Level 3 fiber optic cables as it enters the US. So much for President Obama’s mendacious claim that “nobody is listening to your phone calls”! Note: the “USC.” provisions refer to (18) the Stored Communications Act which compels disclosure to the government of stored wire, electronic and transactional data; a provision that greatly weakened the Fourth Amendment right to privacy. 50 USC outlines the role of War and National Defense in the United States Code and includes “foreign intelligence,” “electronic surveillance authorization without court order,” “internal security,” including the “control of subversive activities” and the “exercise of emergency powers and authorities” by the Executive Branch. 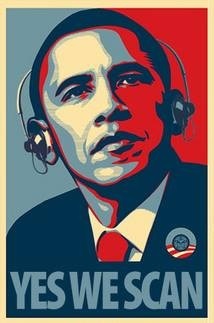 ‘Electronic Surveillance,’ for the purposes of this Agreement, includes: (a) the interception of wire, oral, or electronic communications as defined in 18 U.S.C. §§ 2510(1), (2), (4) and (12), respectively, and electronic surveillance as defined in 50 U.S.C. § 1801(f); (b) Access to stored wire or electronic communications, as referred to in 18 U.S.C. § 2701 et seq. ; (c) acquisition of dialing, routing, addressing, or signaling information through pen register or trap and trace devices or other devices or features capable of acquiring such information pursuant to law as defined in 18 U.S.C. § 3121 et seq. and 50 U.S.C. § 1841 et seq. ; (d) acquisition of location-related information concerning a service subscriber or facility; (e) preservation of any of the above information pursuant to 18 U.S.C.§ 2703(f); and (f) Access to, or acquisition, interception, or preservation of, wire, oral, or electronic communications or information as described in (a) through (e) above and comparable state laws. The electronic driftnet thrown over global communications is expedited by direct access to Level 3’s equipment by the US government. ‘Principal Equipment’ means the primary electronic components of a submarine cable system, to include the hardware used at the NOC(s) [Network Operations Center], landing station(s) and the cable itself, such as servers, repeaters, submarine line terminal equipment (SLTE), system supervisory equipment (SSE), power feed equipment (PFE), tilt and shape equalizer units (TEQ/SEQ), optical distribution frames (ODF), and synchronous optical network (SONET), synchronous digital hierarchy (SDH), wave division multiplexing (WDM), dense wave division multiplexing (DWDM), coarse wave division multiplexing (CWDM) or optical carrier network (OCx) equipment, as applicable. Who signs off on “screened personnel”? Why the US government of course, which raises the suspicion that corporate employees are little more than spook assets. Could it be that fiber optic cables transiting the UK are alreadylovingly scrutinized by NSA’s kissin’ cousins across the pond? GCHQ, as The Guardian disclosed, is merrily ingesting “vast quantities of global email messages, Facebook posts, internet histories and calls, and shares them” with the American agency. Therefore, since UK undersea cable traffic is already under close “management” via the British agency’s TEMPORA program, described as having the “‘biggest internet access’ of any member of the Five Eyes electronic eavesdropping alliance,” it makes sense that Level 3 is allowed to “use the United Kingdom NOC” as a hub for its “Domestic Communications Infrastructure”! By entering into devil’s pacts with the world’s “sole superpower,” giant telcos and internet firms view the destruction of privacy rights as just another item on the balance sheet, a necessary cost of doing business in America.